Zarób 0,44 US$ z Kinguin Mafią! Dowiedz się więcej! "Be The Batman" – Live the complete Batman experience as the Dark Knight enters the concluding chapter of Rocksteady's Arkham trilogy. 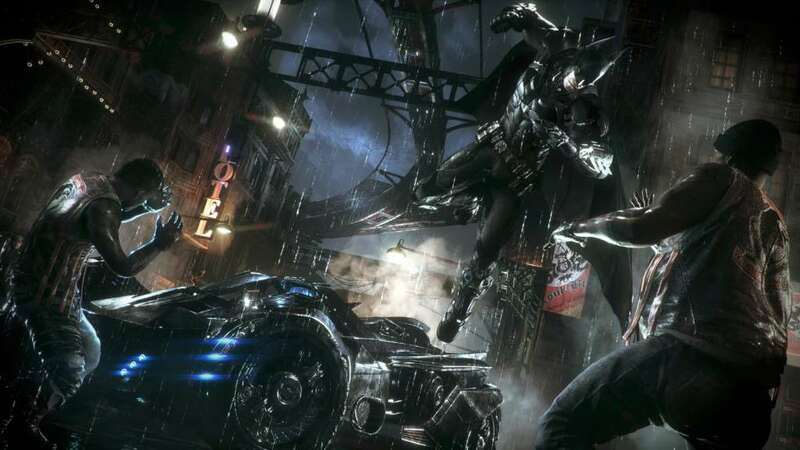 Players will become The World's Greatest Detective like never before with the introduction of the Batmobile and enhancements to signature features such as FreeFlow Combat, stealth, forensics and navigation. Introducing the Batmobile – The Batmobile is brought to life with a completely new and original design featuring a distinct visual appearance and a full range of on-board high-tech gadgetry. Designed to be fully drivable throughout the game world and capable of transformation from high speed pursuit mode to military grade battle mode, this legendary vehicle sits at the heart of the game's design and allows players to tear through the streets at incredible speeds in pursuit of Gotham City's most dangerous villains. This iconic vehicle also augments Batman's abilities in every respect, from navigation and forensics to combat and puzzle solving creating a genuine and seamless sense of the union of man and machine. 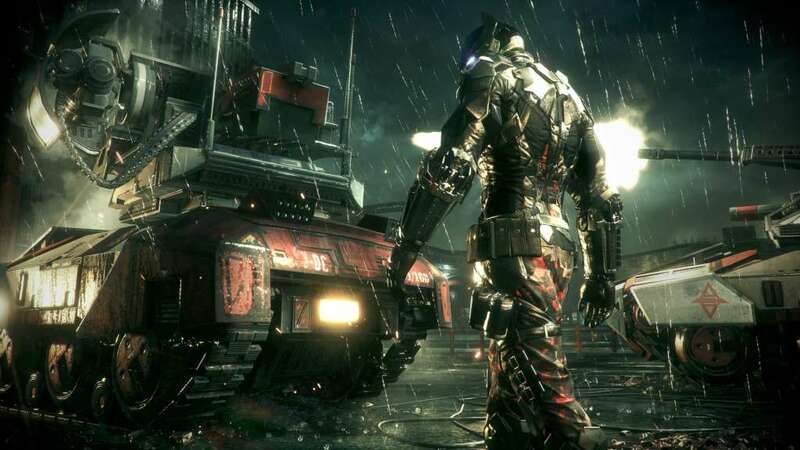 The Epic Conclusion to Rocksteady's Arkham Trilogy – Batman: Arkham Knight brings all-out war to Gotham City. 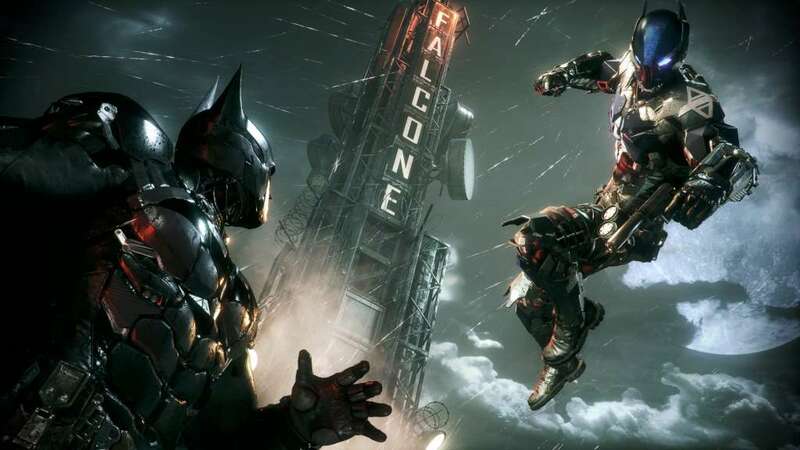 The hit-and-run skirmishes of Batman: Arkham Asylum, which escalated into the devastating conspiracy against the inmates in Batman: Arkham City, culminates in the ultimate showdown for the future of Gotham. 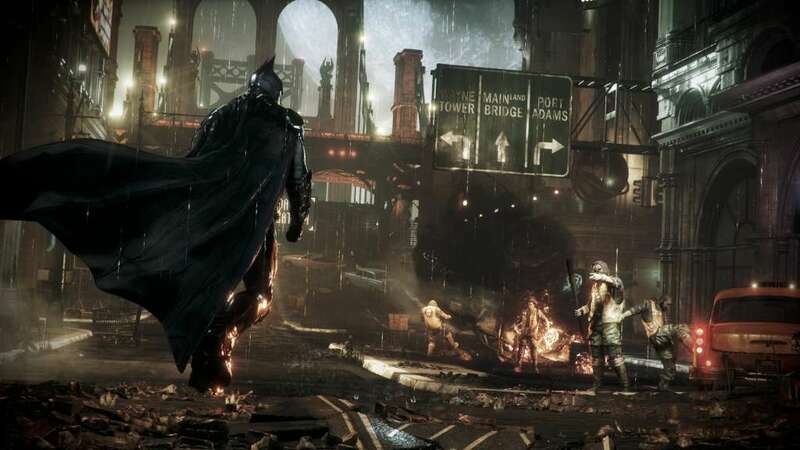 At the mercy of Scarecrow, the fate of the city hangs in the balance as he is joined by the Arkham Knight, a completely new and original character in the Batman universe, as well as a huge roster of other infamous villains including Harley Quinn, The Penguin, Two-Face and the Riddler. 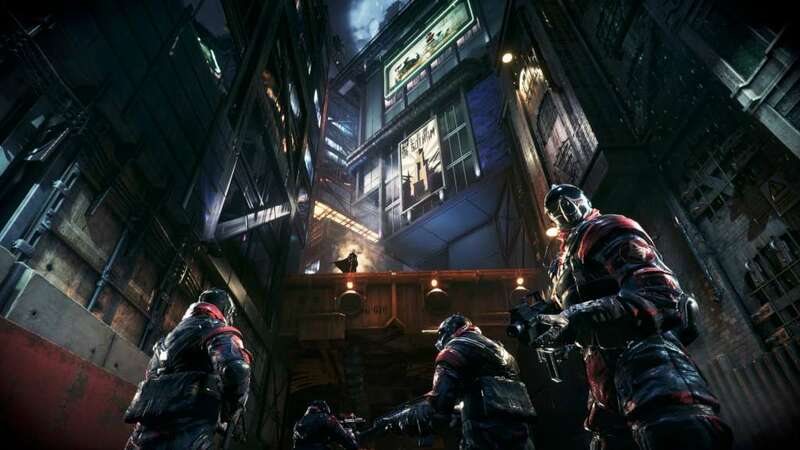 New Combat and Gadget Features – Gamers have at their disposal more combat moves and high-tech gadgetry than ever before. 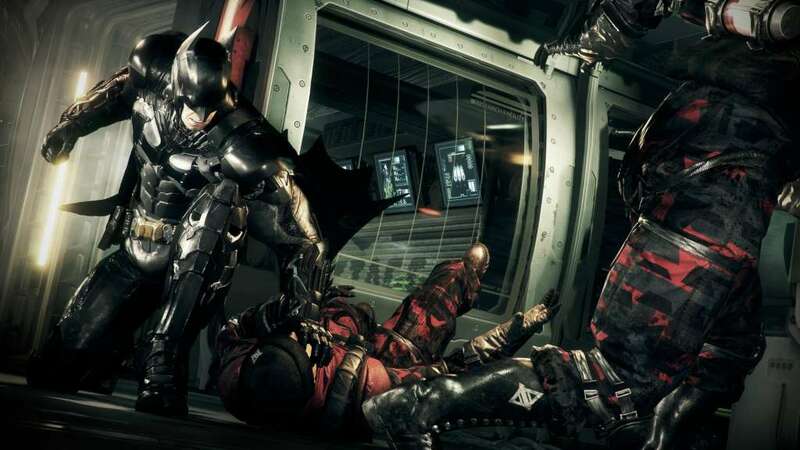 The new 'gadgets while gliding' ability allows Batman to deploy gadgets such as batarangs, the grapnel gun or the line launcher mid-glide while Batman's utility belt is once again upgraded to include all new gadgets that expand his range of forensic investigation, stealth incursion and combat skills.